Today is a glorious day, people. A magnificent, splendid day, the sort of day that a narrator, probably voiced by Nicolas Cage, may refer to as one of 'the salad days', because I have seen 'UP', Pixar's 10th film. This means several things. 1) I've managed to keep a promise I made when I was 13 to see all of their films in the cinema. 2) I now have a new best film of the year contender. 3) I can do one of those multifarious and pointless Top 10 lists that litter the Internet in lieu of doing any actual reviewing. Let's begin. No one loves Cars, in my experience. I've not met anyone who would put their hand on their heart and say that it was a great film because, let's face it, it's not. It's a fairly average story of a famous car (Owen Wilson) getting stuck in a small town and learning values from the local residents, particularly Doc Hudson (Paul Newman, in one of his last ever roles). It's by no means a bad movie. It's absolutely gorgeous to look at and the story, whilst fairly cliched and hackneyed, is sweet and the characters are endearing. Of all of Pixar's films, it's easily the worst, but that doesn't mean that it is bad, just that it is not of the calibre that I expect from Pixar. Now, the low placing of this may suggest that I hold it in as low a regard as I hold Cars, but that's not true. In the same way that there are an infinite amount of numbers between 1 and 2, so there is a vast difference in quality between Cars and A Bug's Life. A retelling of Seven Samurai, with a bit of The Three Amigos thrown in for good measure, the tale of Flick (Dave Foley) is a tiny epic shot through with great jokes and some surprising moments of tension. And Heinrich, the fat German caterpillar who dreams of one day being a beautiful butterfly. 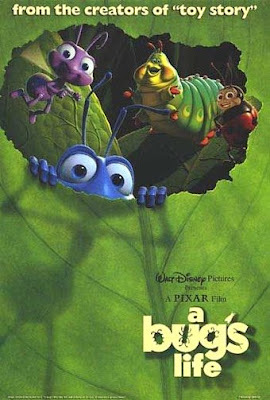 Pixar's most successful film to date is one that I have a great deal of affection for, even if I don't really think it's as funny as their other movies. The deciding factor for me, as far as determining the place of the film in this list, is the relationship between Marlin (Albert Brooks) and Nemo (Alexander Gould). 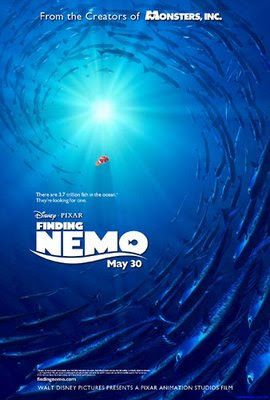 The opening scene, in which Marlin witnesses his wife and unborn children being slaughtered by a pike, only to discover that one of the eggs survived, perfectly sets up the idea that he would be an over-protective father and would go to any lengths to save his son from danger. This provides a solid emotional bedrock for the rest of the film, which is a genial enough little romp. Dory the forgetful fish, voiced by Ellen DeGeneres, is also a terrific character. I thought this would be higher, considering that it was in my Top 5 for 2007, but the rest of the films in the list are ones I adore and I adore this one just a little bit less. Brad Bird's film about a rat (Patton Oswalt) who dreams of being a chef is an absolutely delightful film that, as ever, has some astounding animation and a real zest and energy to it. It also boasts one of the most touching moments I've ever seen in an animated film; the moment when food critic Anton Ego (Peter O'Toole) eats some ratatouille and is transported back, in a Proustian reminder, to his childhood. It's a sublime and profound moment that I absolutely love. 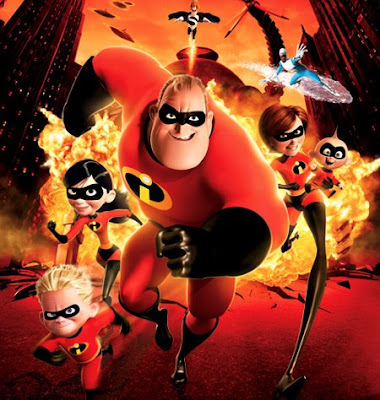 Brad Bird's first Pixar effort just pips his second. This story of a family of superheroes trying to live normal lives is a somewhat odd mix that coalesces into an absolutely wonderful film. The first half, in which Mr. Incredible (Craig T. Nelson) feels suffocated by his boring office job and need to keep his powers hidden whilst dealing with his young family is dour and almost Bergman-esque in its depiction of strained relationships in a dull and drab suburbia. Once Mr. Incredible starts undertaking jobs for a mysterious benefactor, it quickly turns into a rip-roaring adventure, but one that is always underpinned by the notion of family and the need for Mr. Incredible to realise that his family are what matter now, not his tight-wearing escapades. An intelligent character-driven film that's also packed full of excitement and thrilling action set-pieces; the moment when Dash runs on water took my breath away the first time I saw it. 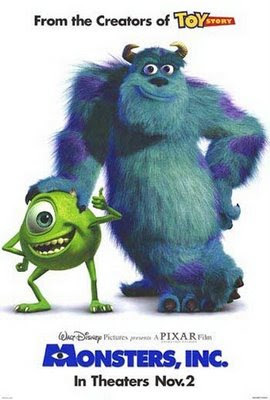 The idea behind Monsters Inc, like the best of Pixar's films, is simple and brilliant; what if the monsters that live in closets are working for a corporation that harvests screams, and what would happen if a child got through into their world? 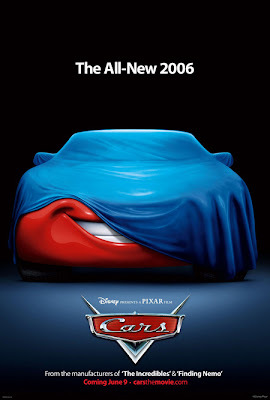 There are so many wonderful elements to this film that get it such a high placing on my list; the chemistry between Billy Crystal and John Goodman as Mike and Sully, Steve Buscemi's devilish turn as the insidious Randall, Roz the gravelly voiced administrator, and Boo, the sweet little girl whose cries of ''Kitty!'' add such warmth to the film, and make for one of the most touching final shots in any of Pixar's films to date. My number 3 film of last year and it's a damn near perfect film. WALL-E is a little robot whose been left all on his own on Earth trying to clean it up whilst humanity has survived, and devolved, on a space ship. When EVE, or iEve as she may as well be called, a pristine white robot sent to search for plant life arrives on Earth, WALL-E falls in love and ends up travelling halfway across the galaxy after her. 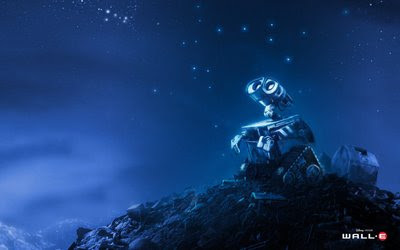 The first half an hour, which is mostly silent and details both WALL-E's life on Earth and his burgeoning relationship with EVE, is haunting and incredibly beautiful. The film kind of loses something when it gets off-world and becomes more overtly adventurous, but it's anchored by WALL-E and his plaintive cries of EEEEEEvah. This should be considered the de facto number 1 spot, really, since numbers 1 and 2 have been the same for 10 years now and I doubt they'll ever be displaced. It's similar to how a Pope can be as good as a Pope can be but he's still not going to get bumped up to Jesus, he'll always just be at number 2. So it is with Pixar films. 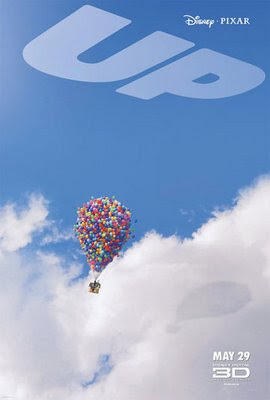 Up is Pixar's most recent offering and, although I'll do a proper review this week sometime, I will say right here and now that it is absolutely brilliant and beautiful and just plain lovely. The plot follows Carl Fredericksson (Ed Asner), a 78-year old man who ties a bunch of balloons to his house in order to fly to South America and fulfill a dream that he shared with his dead wife. He hits a snag in his plans when he discovers that Russell (Jordan Nagai), a Wilderness Explorer, has hung on to his porch and has to ride with him all the way to South America. There are so many lovely moments in the film but the two that really got me were the opening 15 minutes, during which we are shown a montage of Carl and Ellie's relationship from when they were kids, through their childless marriage, all the way to Ellie's death. It's one of the most poignant and heartrendingly sad sequences I've ever seen in a film and, much like the other films on this list, it provides an emotional core to proceedings that stops it flying off into wackiness. The other moment came about 20 minutes from the end and I won't spoil it, I'll just say that it had me is floods of tears in the cinema. It also features Dug, a talking dog that makes for one of Pixar's most endearing characters. These two are interchangeable and inseparable at the top of the tree since they are both, as far as I am concerned, about as perfect as it is possible for films to be. 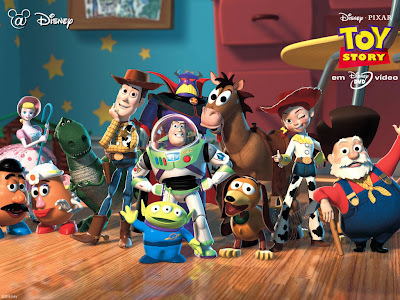 Existential, hilarious and filled to the brim with great characters, the Toy Story films are, in the words of Mark Kermode, the Godfather 1 and 2 of animated films. That analogy doesn't bode well for Toy Story 3, but I'm still hopeful. Anyway, why do I love these films so much? They are just so intelligently made and, the older I get, the better they get. As a kid, I laughed at the jokes and the characters, and I still do over a decade later, but now I appreciate them as a diptych about life, aging and love. The two films together comprise a lot of deep themes about friendship, jealous and the passage of time, a theme that reached its apex in Toy Story 2 during the absolutely heart-breaking ''When She Loved Me''. They are two absolutely wonderful films which I don't think will ever be replaced, either on future versions of this list or in my heart, but Pixar have repeatedly demonstrated their ability to make absolutely transcendent films, and long may they continue to do so.